Town Hall Gallery presents its latest exhibition, Likeness, from 7 November to 20 December, exploring ways in which art captures the nature of a person and communicates their character and physical nature. Drawing from a variety of approaches and media, Likeness provides new ways of understanding portraiture in art. The exhibition showcases the work of nine Australian artists including local Melbourne artists Adam Stone, Ilona Nelson and Celeste Chandler, alongside many of the Town Hall Gallery’s existing collection. Likeness uses a variety of mediums to portray historical context and contemporary approaches to portraiture ranging from ceramics by Madeleine Preston, whose focus of work is how people choose to remember the past and how the past is displayed and quarantined in museums, based on the Louvre’s Tanagra collection. the collision of the seen and the unseen parts of what makes up a human. Ilona Nelson has created ‘onefourfour’ and ‘This Wild Song’ which show a small series of portraits of Australian female artists, creating opportunities to collaborate with peers, create new work and promote their art. Peter Cave’s application of paint is highly methodical and his works are imbued with a unique energy and character. 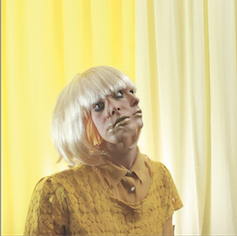 Celeste Chandler’s paintings of the human face and body are modelled by fellow artist IIona Nelson and create unexplained scenes that focus upon the tactile sensations of the subject, stripping the image of obvious narrative and leaving the viewer to contemplate the possible explanations. Also included are works by Michael Vale, the founding director of Linden Contemporary Art Centre, emerging artist Tai Snaith, who applies various contexts of collage, drawing and painting to express an experimental and collaborative approach to portraiture. Spanning three gallery spaces, the Town Hall Gallery features a diverse range of contemporary public programs, curated exhibitions and exhibitions drawn from the Town Hall Gallery Collection, celebrating the rich cultural heritage of the City of Boroondara. 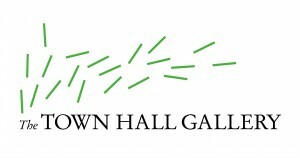 Part of the Public Galleries Association of Victoria, the Town Hall Gallery supports local, national and international artists at varying stage of their careers, and offers a space for local artists and community groups to exhibit professional on the Community Project Wall.